Dr Jengo's World: PayDay 2 Collector's Edition Revealed? 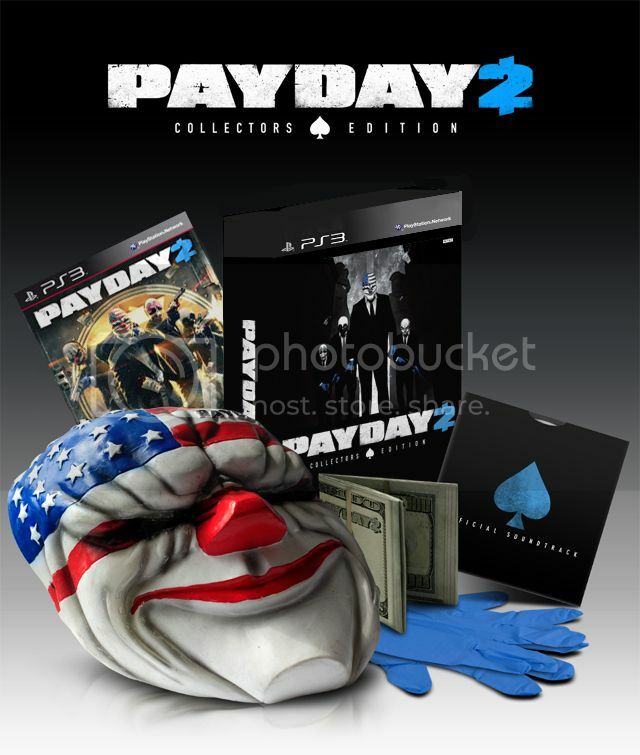 PayDay 2 Collector's Edition Revealed? Hmm.. Spotted this PayDay 2 Collector's Edition Details. Not sure if it's officially revealed yet since I haven't seen news of it on any of the major gaming sites. There is no pic of the Collector's Edition either but I have seen on several sites that the contents of the CE will be: Latex mask of main character, Tyvek wallet that looks like roll of $100's, blue surgical gloves, Digital DLC loot bag with extra money, and DLC guns. The CE will be called PayDay 2 Career Criminal Edition and it will be be numbered and limited to 50K units (30K Xbox 360 and 20K PS3). US Retail price is at around US$60; $20 more than the standard edition which is at about US$40. Many of the big online retailers don't seem to have it listed either but it's on Amazon and Play-Asia right now. I believe both retailers will ship this internationally, so you can pre-order yours at these sites if you like. Here's a look at probably the coolest Bank Heist ever. Late Birthday present from the wife! Don't update today's PS3 4.45 patch yet! Adding Instagram Feature on the Blog! Got me some The Last of Us! Scorpion joins the Injustice Roster!